Electricity is the critical form of energy for modern society. Everything relies on it, communications, information, entertainment, medicine, cooking and more. Yet, many people in the world still live in areas where they lack access to electricity. Without regular electricity, they lack basic lighting, or even the ability to power small electrical components like a cell phone, or a tablet. In these areas of the developing world, batteries are relatively expensive and a poor substitute for locally generated power. Enter the Gravity Light, a gravity-powered electric generator that can power lights and small devices. 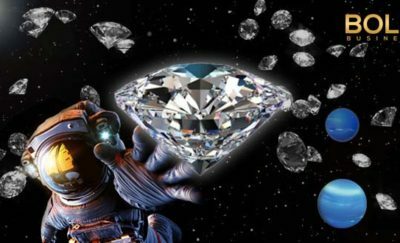 It was developed by the GravityLight Foundation and Deciwatt, two non-profit organizations, to design a new bold invention that can bring electricity to the masses at a local level and low cost. Thomas Edison, the famed American Inventor, developed the incandescent electric light bulb some 130 years ago. This invention was deemed as a great innovation because it expanded the length of the productive day, by allowing people to see after sunset. In spite of achieving this breakthrough over a hundred years ago, a quarter of humanity in the world still lacks basic electricity. Scientific American, estimates that 79% of people in the Third World countries have no access to electricity. A total of 1.5 billion people in southern Asia and Africa still live in the dark. Not only do they lack light, the lack of power prevents them from connecting with the wider world through phones and computers, hampering their ability to learn and interact with the worldwide knowledge economy. Africa is the second-largest and second-most-populous continent in the world. In most parts of Africa people still use kerosene lamps at night. Africans have no choice by to use the dangerous, expensive, and polluting kerosene lamps in order to see at night and in early morning. When night time comes, Third World countries rely on kerosene lamps for the most part. This simple way of accessing light triggers negative effects. Kerosene is expensive – In developing countries, fuel, which is usually kerosene, consumes up to 30% of working people’s income. Lack of cheap electricity traps people in poverty. Kerosene is dangerous – It’s flammable, it can spill, it causes fires that rip through the small poor neighborhoods where it is the only fuel source. The use of kerosene adds to pollution – Lamps using kerosene contribute 3% of the world’s CO2 emissions. It is also a source of black carbon. In addition, it is a source of indoor pollution that is unhealthy and has respiratory consequences. With the existing problems affecting Third World countries, GravityLight Foundation and Deciwatt decided to take action. The result was GravityLight, which produces light by simply lifting weights. GravityLight can replace kerosene lamps. The device has a bag that is filled with sand or rocks, attached to a cord. The bag then slowly descends. This action powers the light, which lasts for 20 to 30 minutes. The team have already prepared an Indiegogo campaign to raise money for the second generation of GravityLight. The first prototype has been tested in 26 different countries. For just $20 a unit, people can have light, anywhere. The developers insist that their invention must be beneficial to their intended demographic who struggle in Third World countries. This are the positive aspects of using GravityLight. It is easy to use. GravityLight is not rocket science because people will not have a hard time learning how it works. There is no need for batteries. GravityLight pays for itself because it is completely self-sustained. 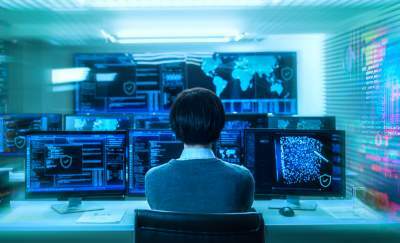 The device can power reading lights, radios, and other small electrical machines. GravityLight consists of the hanging point, white LED, power output socket, weight cord, bag pulley, bag hook, and a rewind cord. 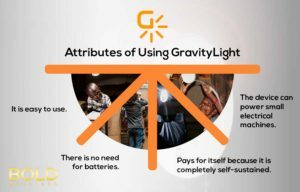 GravityLight Foundation does not just want to aid light source problems in the Third World countries, they also want to help people through creating local jobs, living conditions, and skills. The organization wants to improve the local economy by means of making a sustainable demand for safe and clean lighting solutions. Third World countries do not have the luxury of electricity and must rely on kerosene lamps. The bold new idea of GravityLight can be the right solution for lighting demands across the world.